Japanese tuner Curve Auto Design have created this package for the BMW M6 and 6-Series. It includes vertical doors (how very 2001), various body add-ons, custom tailpipes and some pretty ugly rims. The 6-Series has never been the Angelina Jolie of Coupe’s, but this package has turned it into another film star entirely – Miss Piggy. 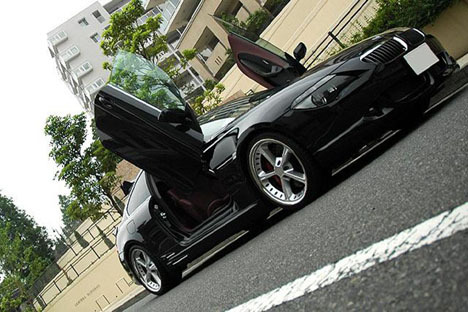 Lamborghini doors on a BMW? I’m sure Fifty Cent is on the phone right now, making an appointment to take his car in. No doubt he’ll be having a set of under-floor neons fitted while they’re at it. Tragic.